The court was forced to overturn the conviction as there was a lack of evidence presented to the lower court that would have demonstrated that Mr. Dunbar was “engaged in a call.” It is necessary for the prosecution to prove beyond a reasonable doubt that a driver was engaged in a call, which requires more than just that the phone was in the driver’s hand. In pertinent part, Connecticut General Statute 14-296aa states that “An operator of a motor vehicle who holds a hand-held mobile telephone to, or in the immediate proximity of, his or her ear while operating a motor vehicle is presumed to be engaging in a call within the meaning of this section. The presumption established by this subdivision is rebuttable by evidence tending to show that the operator was not engaged in a call.” Mr. Dunbar provided testimony that rebutted this presumption, that the phone simply being in his hand (in his case, deactivating an incoming phone call) was not engaging in a call, and thus was not against the statute. While talking on a mobile device while driving and texting while driving in Connecticut is both dangerous and rampant and should be strictly prohibited and prosecuted in the state, this is an important decision for drivers across Connecticut. 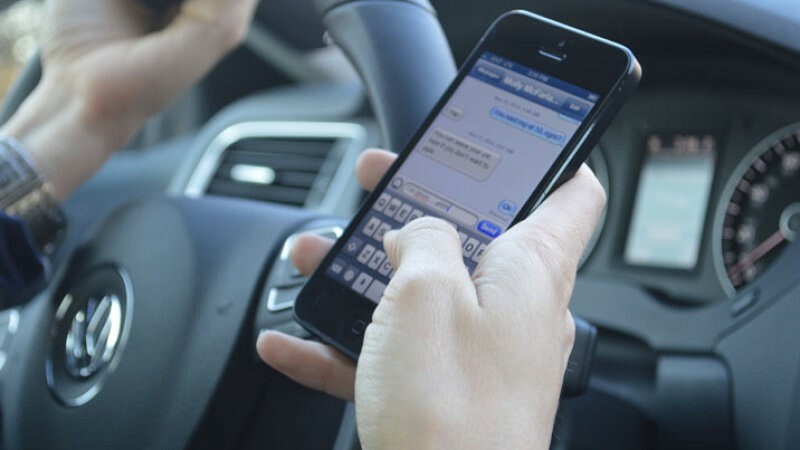 Simply having your hand on a phone (if you are not engaged in a call) while driving is not against the Connecticut texting while driving statutes. 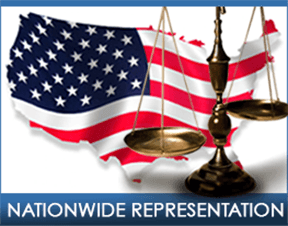 Understand your legal rights. The statute is reprinted in full below. Connecticut General Statutes 14-296aa – Use of hand-held mobile telephones and mobile electronic devices by motor vehicle operators and school bus drivers prohibited or restricted. (1) “Mobile telephone” means a cellular, analog, wireless or digital telephone capable of sending or receiving telephone communications without an access line for service. (2) “Using” or “use” means holding a hand-held mobile telephone to, or in the immediate proximity of, the user’s ear. (3) “Hand-held mobile telephone” means a mobile telephone with which a user engages in a call using at least one hand. (4) “Hands-free accessory” means an attachment, add-on, built-in feature, or addition to a mobile telephone, whether or not permanently installed in a motor vehicle, that, when used, allows the vehicle operator to maintain both hands on the steering wheel. (5) “Hands-free mobile telephone” means a hand-held mobile telephone that has an internal feature or function, or that is equipped with an attachment or addition, whether or not permanently part of such hand-held mobile telephone, by which a user engages in a call without the use of either hand, whether or not the use of either hand is necessary to activate, deactivate or initiate a function of such telephone. (6) “Engage in a call” means talking into or listening on a hand-held mobile telephone, but does not include holding a hand-held mobile telephone to activate, deactivate or initiate a function of such telephone. (7) “Immediate proximity” means the distance that permits the operator of a hand-held mobile telephone to hear telecommunications transmitted over such hand-held mobile telephone, but does not require physical contact with such operator’s ear. (8) “Mobile electronic device” means any hand-held or other portable electronic equipment capable of providing data communication between two or more persons, including a text messaging device, a paging device, a personal digital assistant, a laptop computer, equipment that is capable of playing a video game or a digital video disk, or equipment on which digital photographs are taken or transmitted, or any combination thereof, but does not include any audio equipment or any equipment installed in a motor vehicle for the purpose of providing navigation, emergency assistance to the operator of such motor vehicle or video entertainment to the passengers in the rear seats of such motor vehicle. (9) “Operating a motor vehicle” means operating a motor vehicle on any highway, as defined in section 14-1, including being temporarily stationary due to traffic, road conditions or a traffic control sign or signal, but not including being parked on the side or shoulder of any highway where such vehicle is safely able to remain stationary. (b) (1) Except as otherwise provided in this subsection and subsections (c) and (d) of this section, no person shall operate a motor vehicle upon a highway, as defined in section 14-1, while using a hand-held mobile telephone to engage in a call or while using a mobile electronic device. An operator of a motor vehicle who types, sends or reads a text message with a hand-held mobile telephone or mobile electronic device while operating a motor vehicle shall be in violation of this section, except that if such operator is driving a commercial motor vehicle, as defined in section 14-1, such operator shall be charged with a violation of subsection (e) of this section. (2) An operator of a motor vehicle who holds a hand-held mobile telephone to, or in the immediate proximity of, his or her ear while operating a motor vehicle is presumed to be engaging in a call within the meaning of this section. The presumption established by this subdivision is rebuttable by evidence tending to show that the operator was not engaged in a call. (4) Subdivision (1) of this subsection shall not apply to: (A) The use of a hand-held mobile telephone for the sole purpose of communicating with any of the following regarding an emergency situation: An emergency response operator; a hospital, physician’s office or health clinic; an ambulance company; a fire department; or a police department, or (B) any of the following persons while in the performance of their official duties and within the scope of their employment: A peace officer, as defined in subdivision (9) of section 53a-3, a firefighter or an operator of an ambulance or authorized emergency vehicle, as defined in section 14-1, or a member of the armed forces of the United States, as defined in section 27-103, while operating a military vehicle, or (C) the use of a hand-held radio by a person with an amateur radio station license issued by the Federal Communications Commission in emergency situations for emergency purposes only, or (D) the use of a hands-free mobile telephone. (c) No person shall use a hand-held mobile telephone or other electronic device, including those with hands-free accessories, or a mobile electronic device while operating a school bus that is carrying passengers, except that this subsection shall not apply to (1) a school bus driver who places an emergency call to school officials, or (2) the use of a hand-held mobile telephone as provided in subparagraph (A) of subdivision (4) of subsection (b) of this section. (d) No person under eighteen years of age shall use any hand-held mobile telephone, including one with a hands-free accessory, or a mobile electronic device while operating a motor vehicle on a public highway, except as provided in subparagraph (A) of subdivision (4) of subsection (b) of this section. (e) No person shall use a hand-held mobile telephone or other electronic device or type, read or send text or a text message with or from a mobile telephone or mobile electronic device while operating a commercial motor vehicle, as defined in section 14-1, except for the purpose of communicating with any of the following regarding an emergency situation: An emergency response operator; a hospital; physician’s office or health clinic; an ambulance company; a fire department or a police department. (f) Except as provided in subsections (b) to (e), inclusive, of this section, no person shall engage in any activity not related to the actual operation of a motor vehicle in a manner that interferes with the safe operation of such vehicle on any highway, as defined in section 14-1. (h) Any person who violates this section shall be fined one hundred fifty dollars for a first violation, three hundred dollars for a second violation and five hundred dollars for a third or subsequent violation.